"People with Laura's passion for their work, combined with her experience, are indeed hard to find. Her clients are lucky to have her in their corner!" "Laura is a top choice for applicants to any MBA program, but if INSEAD is your first choice, then choosing her is a no-brainer!" "I wanted to share with you that I think you are really awesome. Our discussions have already brought me on an invaluable self-reflection process. Your perspectives are always stimulating and the feedback you have given me on my essays extremely well-targeted and practical. So, thank you very much!!" "Laura has this rare gift to recognize and comprehend anyone's strengths and shortcomings in a short span of time. She taps into people's personalities and just knows how one can best project oneself. She also has an in-depth knowledge and history about every business school. It was truly amazing how she brought out my best stories to suit the school's 'personality'. "One thing that sets Laura apart from the rest is her uncompromising personal integrity. She urges her clients to be truthful. She quickly sees through any deviation and is not afraid to say, 'Wait a minute...' "
I can honestly say that without Laura, I would have never had the great opportunity to be here at INSEAD, experiencing the greatest year of my life." "Laura is not only extremely knowledgeable about b-schools in general and INSEAD in particular but brings her extensive corporate experience to coach you beyond simply the application form. I felt that her guidance and advice was not just focussed on business schools but took a rounded view about professional life in short and long term. Now that I'm at INSEAD, I get to work with Laura through the Career Development Office, since she's one of the most popular external counselors on INSEAD's Career team. Her knowledge of my background has helped her give me great advice on my CV and on my job search strategy." "Her inside view on INSEAD was incredibly useful, and her career knowledge and insights made all the difference in my LBS interview. In the end, I was admitted to LBS and INSEAD, the only schools I applied to." "Laura is passionate about her clients and cares about their success. She is a genius at storytelling and essay editing. I recommend Laura for any MBA program that you are applying to. She is definitely the go-to person for INSEAD, but she knows other schools' cultures and processes extremely well." "She just kept filling me with energy, motivating me and helping me to believe in myself. And she is passionate about the schools, which means she helps in the application by applying her heart. A small point, but very very important. Now that I have been admitted to INSEAD, I have no second thoughts accepting that without her it wouldn't have been so. I'm really glad I contacted her, and am grateful for her help." "Laura has been a great coach and I consider her a good friend too. That's just the way she works!" "Whenever I talk with Laura, I get all fired up and want to run out and start work right away!" "Had it not been for Mike, I don't think I could have gotten admission from LBS, especially with my GPA and GMAT score. I found him extremely helpful, dedicated and committed, throughout the whole process." We've helped clients in Afghanistan, Algeria, Argentina, Australia, Belgium, Bolivia, Brazil, Canada, China, Finland, France, Hong Kong, India, Indonesia, Israel, Italy, Ivory Coast, Japan, Kenya, Korea, Kuwait, Laos, Lebanon, Malaysia, Mongolia, Netherlands, Nigeria, Qatar, Russia, Saudi Arabia, Senegal, Singapore, Spain, Sri Lanka, Sweden, Switzerland, Taiwan, Trinidad, Qatar, UAE, UK, US, Vietnam, even Yemen. How can we help you? 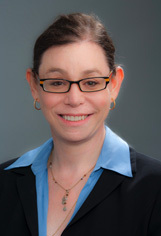 An INSEAD MBA, Laura Freedman began advising MBA applicants in 1993. She has coached hundreds of high-potential young managers through the MBA admissions process, from pre-MBA career planning and school selection through application essays, interviews, final school selection, post-acceptance planning and post-MBA career orientation. Laura is one of the world's most experienced MBA admissions consultants for applicants to INSEAD. As INSEAD Admissions Office Alumni Liaison in Russia from 1993 through 1998, she played a key role in developing this then-new market, attracting, coaching, advising, interviewing and evaluating scores of INSEAD applicants, and following many application dossiers through the Admissions Committee from preliminary review through final decision. As alumni interviewer in Boston from 1999 to 2004, she marketed INSEAD to prospective applicants and interviewed dozens more. She also designed the MBA interview evaluation criteria, interviewer form and process for National University of Singapore's MBA admissions office. An ICF-ACC Certified Professional Coach, she currently counsels MBA students as an external career coach for the INSEAD MBA Asia Campus Career Development Centre, and for National University of Singapore's (NUS) MBA Career Services Centre. She coaches executives-in-transition on the INSEAD Alumni Career Services Coach Panel. She's been a member of the Association of International Graduate Admissions Consultants (AIGAC) since 2012. A senior-level executive and former management consultant with a background in financial services, Laura has worked in the US, Europe and Asia for blue-chip organizations including Citibank, Booz Allen, Deloitte, the Russian Ministry of Finance, USAID, Fidelity Investments and Standard Chartered Bank. She has also managed several successful entrepreneurial ventures. In these roles, she has hired, trained, managed and mentored scores of high-potential pre- and post-MBA managers. With a personal background in a family business environment, she has extensive insight into the special challenges related to career planning and succession in family businesses. She also has professional writing and editorial experience. Laura's familiarity with the global arena gives her a deep understanding of the issues facing international MBA applicants from many different countries and cultures. She has lived and worked in cities including Singapore, Bangkok, Paris, London, Brussels, Warsaw, Moscow, Vladivostok, Chicago, Boston and New York. She has travelled extensively throughout Asia, India, Europe, Russia and North America. She has lived and studied on the campuses of Harvard, the University of Chicago and Cornell. She has also taught GMAT Prep courses in Singapore. Laura has held a variety of leadership roles in several alumni communities. She has long been a leader in the INSEAD alumni community, having served as Founding Secretary of the INSEAD Alumni Association of the Russian Federation, President of US INSEAD Alumni Association of New England, representative to the New England MBA Alumni League, member of the US INSEAD Alumni Association National Board, and Honorary Auditor of the INSEAD Singapore Alumni Association. Additionally, she served as Vice President of the Cornell Club of Singapore, Alumni Class Co-Chair for Eaglebrook School and as Alumni Fund representative in France for Phillips Academy Andover. She has also helped organize fundraising campaigns for Eaglebrook School, Andover, University of Chicago Booth, Cornell and INSEAD. 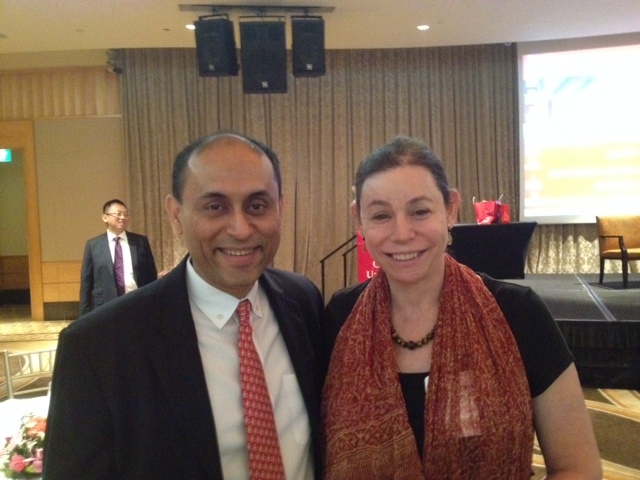 Laura has served on the Board of Directors of the INSEAD Club of Singapore since 2009 as Hon. Treasurer, Executive Director and INSEAD Singapore Alumni Career Development Representative. She is also a member of the Cornell Alumni Admissions Ambassador Network in Singapore, where she interviews undergraduate applicants to Cornell, and is a credentialed member of the International Coach Federation. In addition to her INSEAD MBA, Laura holds a BA in Classics from Cornell University, a Master's in Economics from the Université de Paris - Dauphine, and is TEFL-certified through UEC/SUNY Buffalo in Bangkok. She has also completed coursework at several of the world's leading universities, including Harvard, Wharton-Securities Industry Institute, University of Chicago, NYU Stern School, Institut d'Etudes Politiques (Sciences Po) and Suffolk University Law School. She also holds an ICF-ACTP Certified Professional Coach designation from Corporate Coach Academy, Southeast Asia's leading coach training school. A native English speaker, she also speaks French, Russian and Spanish, understands Polish and is eternally learning Mandarin. She scored a 750 (99th percentile) on her GMAT. Member, American Chamber of Commerce in Singapore - © 2010-2018 Access Education. All Rights Reserved.